You asked; we answered! Whether you’re allergic to nuts, packing school lunches for a nut-free cafeteria, trying an autoimmune protocol, just not a fan of trail mix, you’ve come to the right spot. 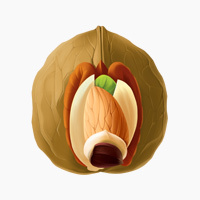 In many ways, a nut intolerance or allergy is really a blessing in disguise when it comes to Paleo. At least you won’t fall into the trap of trying to “eat Paleo” by re-creating all your favorite grain-based junk food with almond flour and convincing yourself that it’s “healthy” because it’s gluten-free. Nuts are technically Paleo, but they aren’t the healthiest foods around. For one thing, they’re high in Omega-6 fats, which can be pro-inflammatory and undo all your hard work spent avoiding seed oils and junk fats. For another, they’re fairly high in phytic acid, which is an anti-nutrient which prevents you from absorbing the minerals in the nuts. This doesn’t mean anyone should eliminate them altogether – they’re fine in small doses – but you’re certainly not missing out on anything extremely nutritious. It’s the quintessential Paleo snack: just grab a handful of nuts or trail mix! But when a quick scoop of almonds is off the menu, what can you do? Here are some snacks that keep well at room temperature, and don’t require a lot of fuss and preparation to eat. Olives. The idea behind 100-calorie packs is pretty silly, and counting calories isn’t necessary on Paleo, but 100-calorie packs of olives are incredibly convenient for Paleo snacking since they come pre-packaged in shelf-stable, snack-sized bags. Can of tuna. Many stores carry small cans with a peel-off top, so you don’t need to lug a can opener around with you. Toss a squeeze pack of mustard or hot sauce in your bag, and you’re good to go. Hard-boiled eggs. Unless you’ll be somewhere really hot, or out for longer than a day, hard-boiled eggs will keep just fine. Peel them before you leave so you don’t have to worry about the shells when snack time comes along. Piece of fruit. A banana is a great option here, since bananas are the only fruit with more starch than sugar. This makes them more filling, and easier on your system if you have trouble with fructose. Vegetables with mustard. Baby carrots are conveniently pre-cut, but you can chop up anything you get a hankering for. Coconut flour. Despite the name, coconut is not related to peanuts or tree nuts, so most people with nut allergies can eat it without any problems. Just be aware that you can’t substitute coconut flour in one-to-one; it’s much more absorbent than almond flour, so you’ll need to find a recipe written specifically for coconut flour. 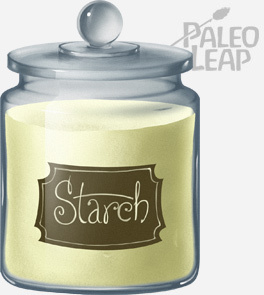 Tapioca starch. Tapioca is from a root, not a nut, so it should also be fine (unless you also happen to have an allergy to tapioca, which is rare). Arrowroot powder. Arrowroot, as the name implies, is a root and not a nut. Plantain flour. The plantain is a starchy fruit, not a nut, so plantain flour should be fine for nut allergies. You could also just focus on treats that don’t involve any flour at all; what about some tapioca pudding or a fried banana with honey? Coconut butter is an option if you can handle coconut. Despite the name, coconut is not related to peanuts or tree nuts, so many people with nut allergies can eat it without any problems. Coconut butter also comes in several flavored variations if you can find them; it’s a great treat to enjoy with fruit or just eat off the spoon. 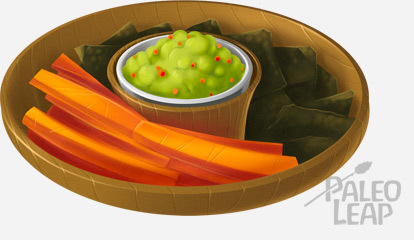 Guacamole makes a delicious and creamy dipping sauce for all kinds of vegetables and crunchy things: it doesn’t quite have the same texture as nuts, but it’s equally tasty in its own way. Apple butter or peach butter are two yummy options if you’re hankering for something slightly more dessert-like. 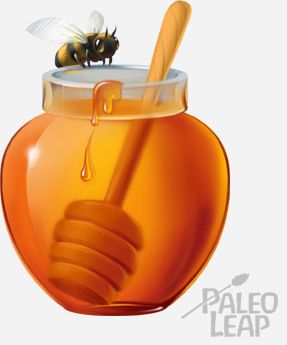 If you want to go even sweeter, you could also try some raw honey. Canadian honey is particularly good for this; it’s stiffer than American honey, so it has roughly the same texture and solidity as a typical nut butter. Mustard, mayonnaise, or salsa will work equally well as vegetable dips. But Where will I get Vitamin E? You’ll also get smaller amounts from most other leafy green vegetables. Really, as long as you eat a diverse diet with a wide variety of plant and animal foods, you’ll be getting plenty of Vitamin E.
If you want to go Paleo but you’re intimidated by all the nut-heavy recipes: don’t be! There’s no reason why anyone has to eat nuts, even on Paleo. They’re really more of a nice extra. Nut-based “desserts” get a lot of press because they’re often very creative (not to mention easy to take beautiful pictures of), but there’s nothing nutritionally special about nuts, and no reason why you can’t replace them in your cooking with other equally tasty foods. Avoiding nuts shouldn’t make it impossible – or even particularly difficult – to make Paleo work for you.